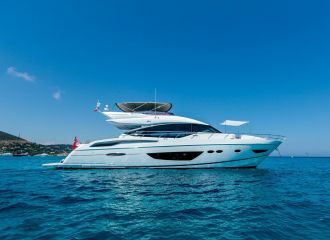 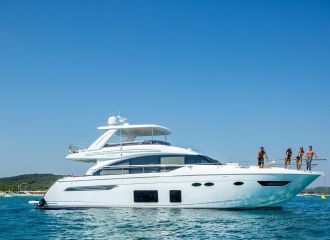 Ideal for friends and families alike, this Fairline Squadron 78 yacht boasts fantastic outdoor areas including a large sunbathing area on the foredeck and a spacious flybridge. 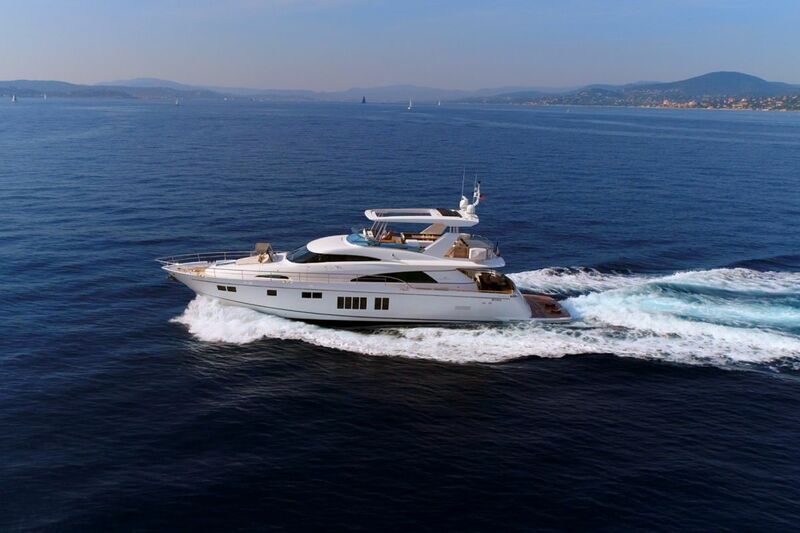 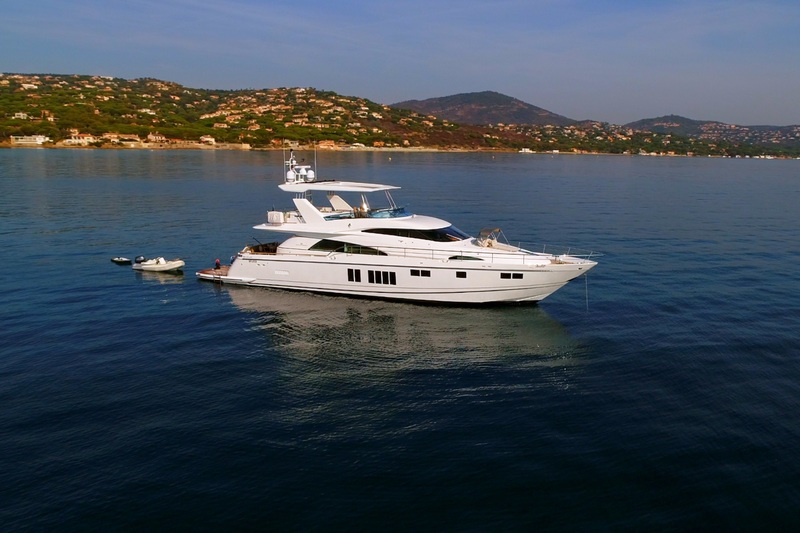 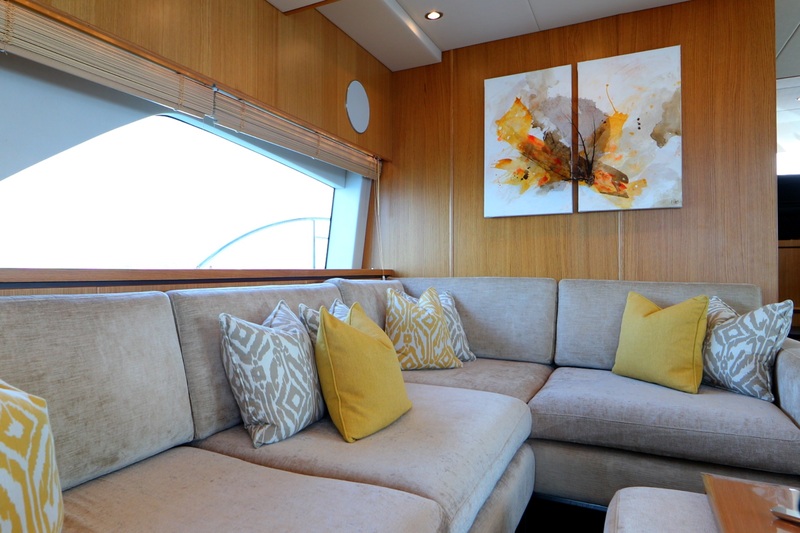 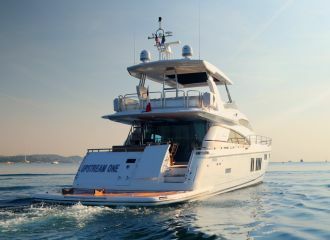 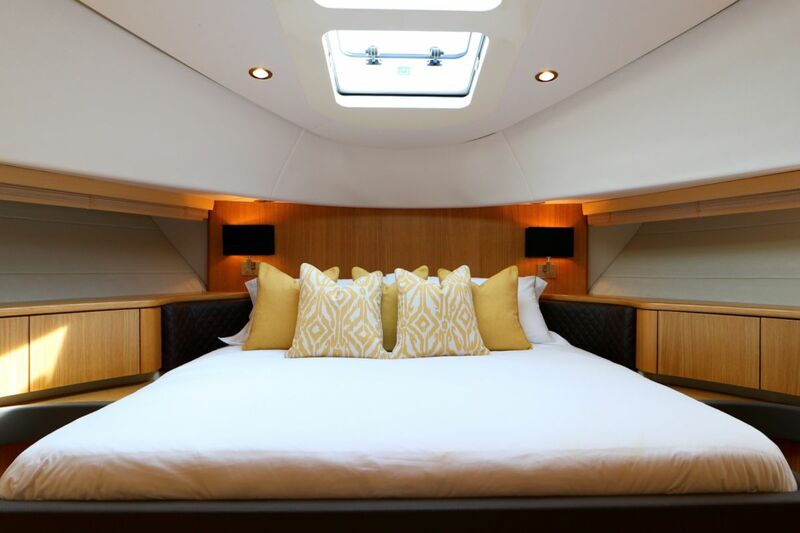 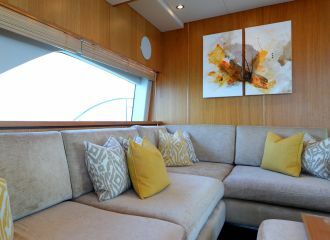 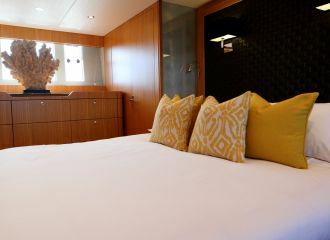 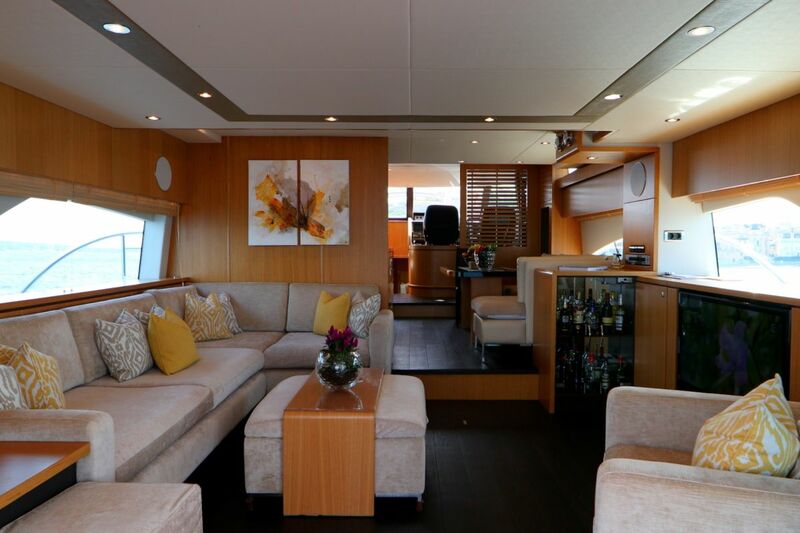 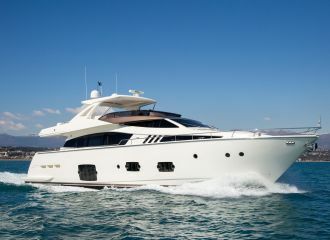 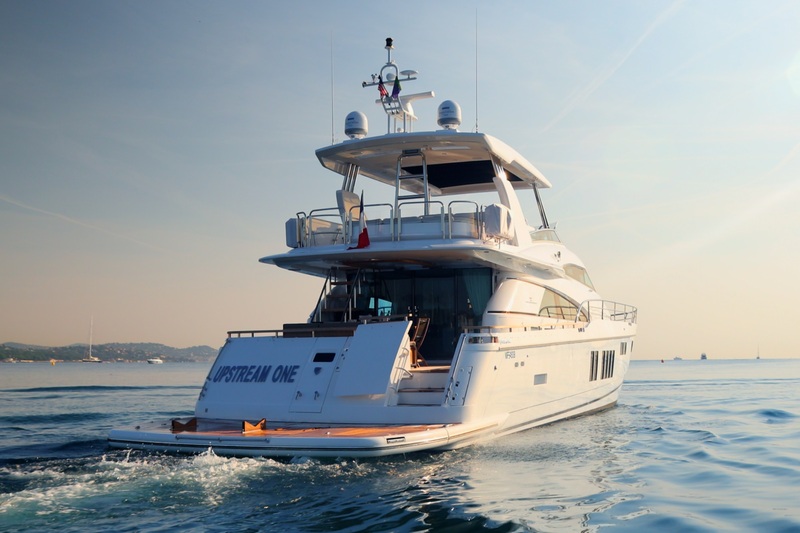 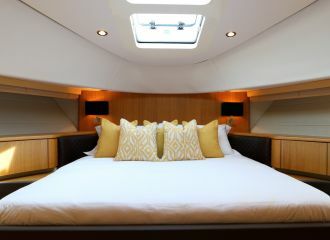 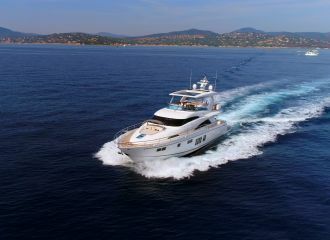 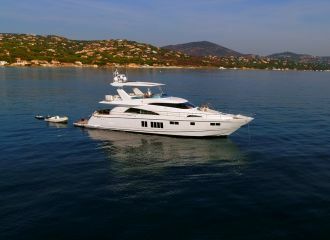 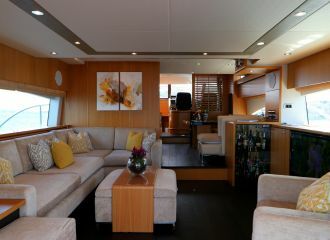 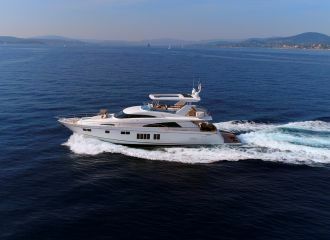 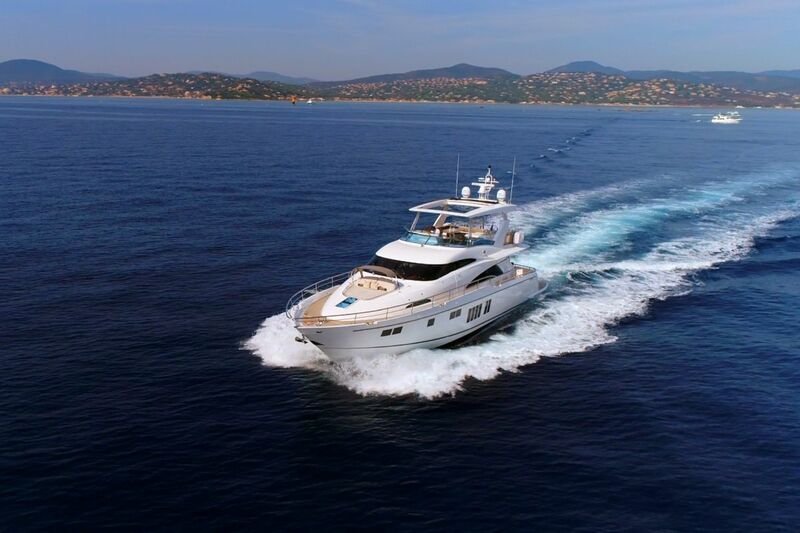 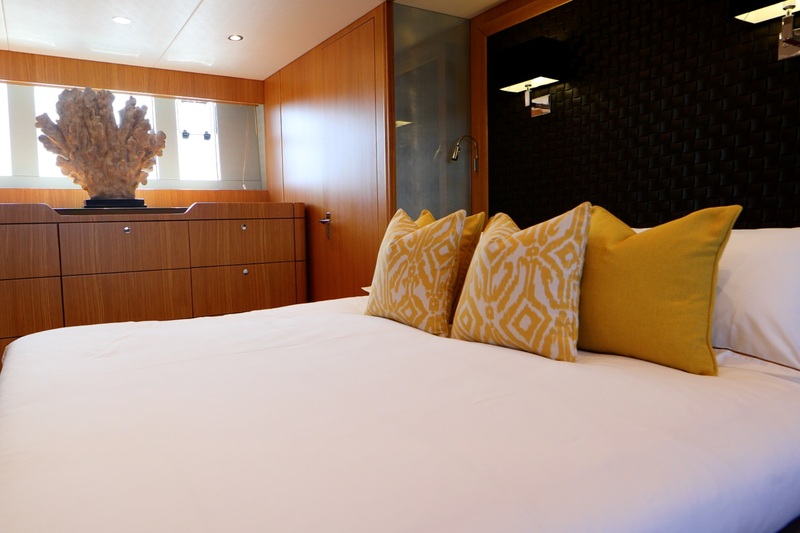 This flybridge motor yacht can accommodate up to 8 guests in 4 good-size cabins. 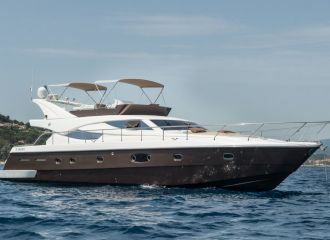 Currently available for a south of France yacht rental.